Let’s see here. Let me guess. You’re still at a standstill and you’re trying to figure out how to conquer the next thing on your to-do-list. Well, the good news is, that if you set yourself in the right mindset you can get yourself out of trouble and into a productive state-of mind. In order to get to a productive state-of-mind, you have get out of your familiar routine and move towards inner purpose. A lot of distractions are like sharks in this world. These distractions can be technology or habits that serve little purpose. In some ways these sharks can be waiting for you at the top of the water. The best way to avoid becoming prey for the sharks out in the world is to hold a strong mindset. In order for anyone to be productive it’s important to have strong qualities. If you carry a driven heart, an audacious mind, and combine it with forward thinking, a bold personality, and a vivacious spirit. You might just be the type of head-strong person who can overcome impetuous tasks with a heart full of passion and gladiatorial drive that sharks cannot handle. 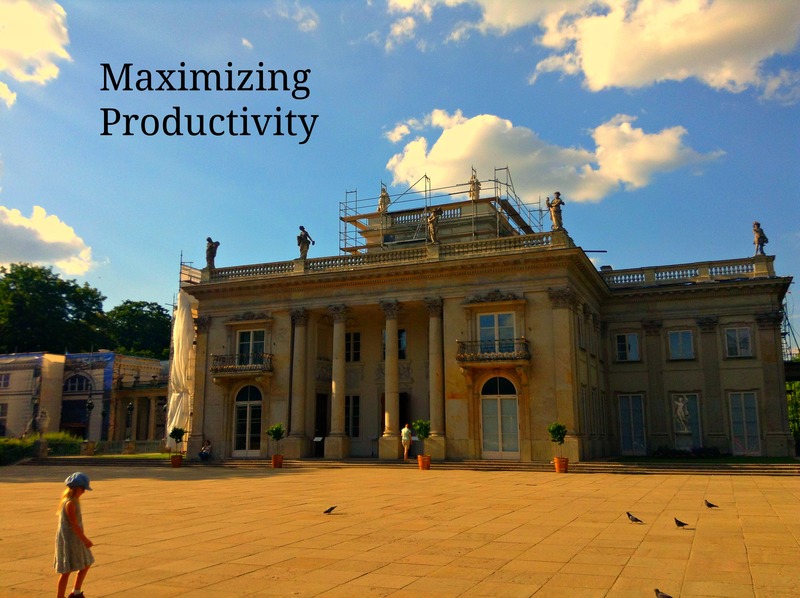 There are multiple ways in which you can maximize your productivity in your life and eliminate the sharks. No Television or movies until you reach your goal for that day, or week. Don’t listen to music unless you’re exercising or driving in the car. Go to sleep by 9:30PM on weekdays. Find an accountability partner or create a group of mastermind friends who motivate you each day. Share ideas with others and use them to maximize your potential. Keep a journal and record your progress on each of your goals and endeavors. Nowadays social media is the ultimate hindrance. It keeps people’s mind in an endless entrapment. Unless you happen to be consuming quality information that may be beneficial for your life goals, most of the time it’s just a non-verbal way of communicating with people and sharing information. I understand that a lot of people are now stuck in their own worlds so it’s becoming increasingly common for people to just share information in a variety of ways. When you can’t talk to every person that you want to face to face, that’s where social media can be advantageous. The best thing you can generally do, is to spend a few minutes a day on your preferred social media platforms. A solid way to maximize your productivity is to embrace your inner strength and stay out of the social media fix as much as possible. You can do this by making a list of your successes each night, before you go to bed. It doesn’t really matter how big your successes are, as long as your better today than you were yesterday, you are in the midst of building a brighter tomorrow. Don’t let others hold you back. Seize open opportunities and give you life hours away in the activities that fill you with satisfaction. Spend your day doing the things that fill your inner purpose. If you’re trying to become successful in any way, you have to Master Your Priorities. Avoid television as much as possible. I understand that it’s easy to become trapped by sports, and other entertainment. However with that said, if you really have something inside your heart that’s driving you with no end in site, you have to find a way to move around your obstacles. Whatever you put first in your life are the most important things. If you want to reach your destination or fulfill your wildest dreams, you can do it! Believe in yourself, keep positive people in your life, stay strong, and maximize your productivity! This entry was posted in Self-Help and tagged social media. Bookmark the permalink.